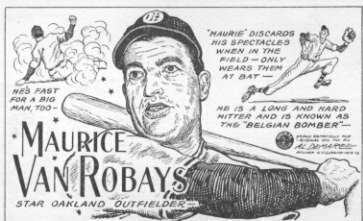 Bespectacled MAURICE VAN ROBAYS, a veteran of several seasons with the Pittsburgh Pirates of the National League, was a brand-new member of the Stengel crew in �. 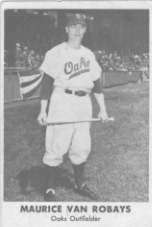 Horsehide-mauler Maury figures to give the Acorns right-hand sock power. 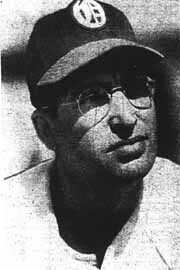 He has played some first base and is noted for giving the horsehide a good ride when he connects. He banged out 31 safeties in 57 tilts with the � Pirates. He usually covers right field.